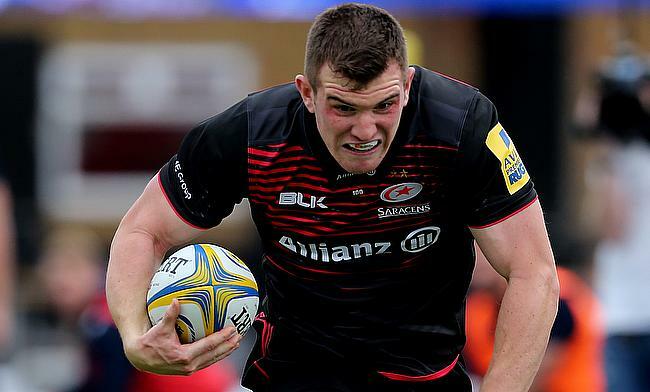 Saracens suffered an early setback when Vincent Koch was replaced in the first minute but seven minutes later they got their first points on the board when Ben Spencer kicked a penalty. Newcastle's response came in the 10th minute when Joel Hodgson kicked a penalty of his own to level the scores 3-3 but Spencer with his 18th minute penalty goal restored the three point lead for Mark McCall's side. Prop Richard Barrington scored their opening try in the game when he crossed over in the 26th minute while Spencer's conversion stretched Saracens' lead to 10 points and it became 17 points before half time when they were awarded a penalty try when Sinoti Sinoti was sin-binned. Falcons produced a lot of errors in the second half and it proved costly as they failed to add any point in the second half but replacement Max Malins scored the third try for Saracens when he went past the line with six minutes to go as they completed a 22 point victory.